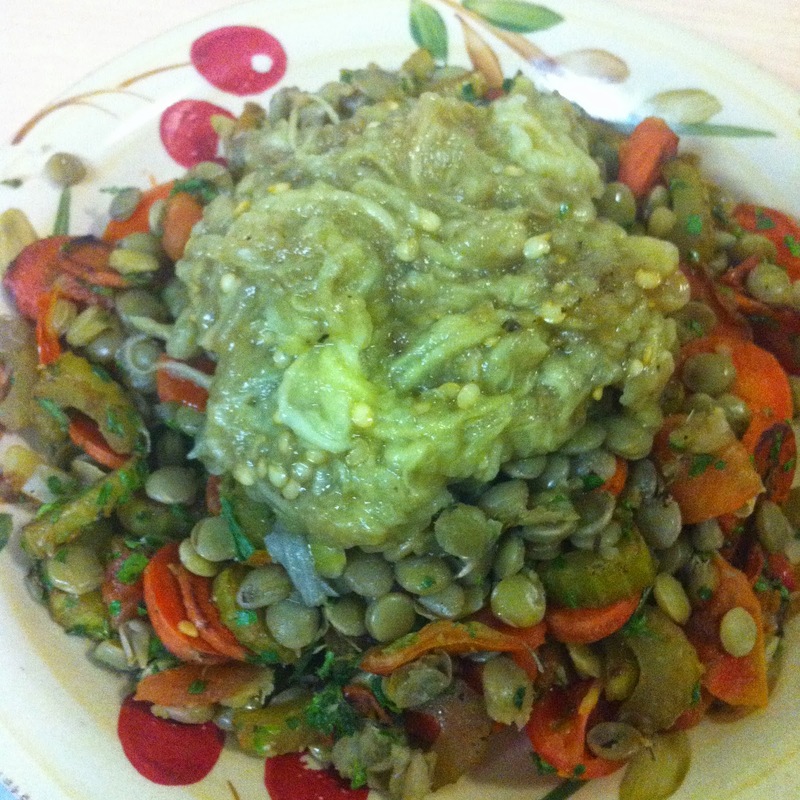 Despite this dish's gelatinous, almost slop like appearance, it is incredibly vibrant in flavour with a natural "sweetness" from the eggplant and carrots. Serve it warm with a crisp green salad. This dish is very low in fat, while being high in protein. It has around 370 calories per serving. 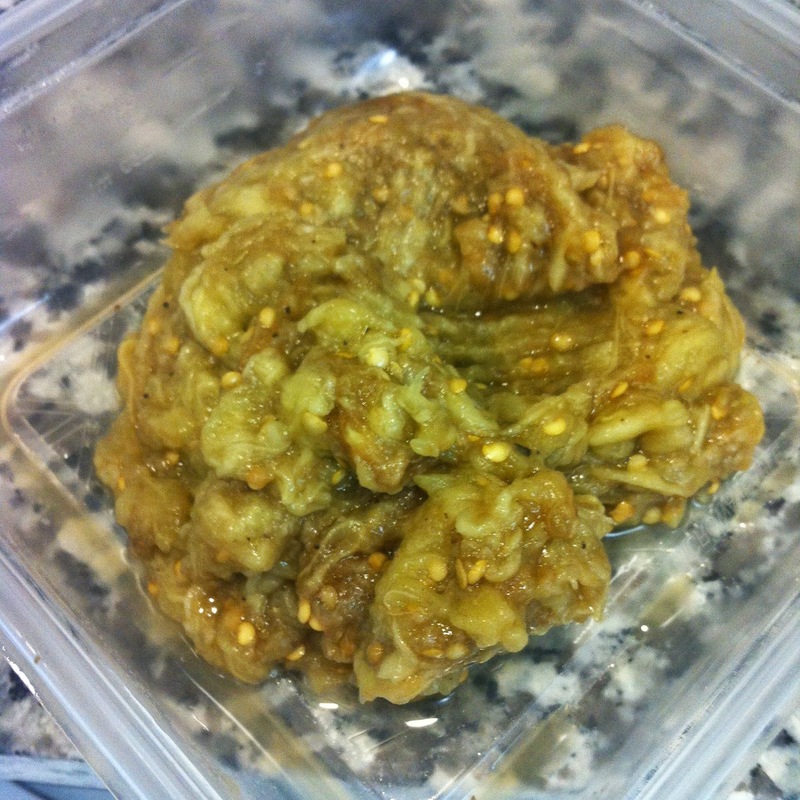 First thing, wash and cut holes into the eggplant. Then, stick directly under a broiler for an hour, flipping them every 15 minutes or so. 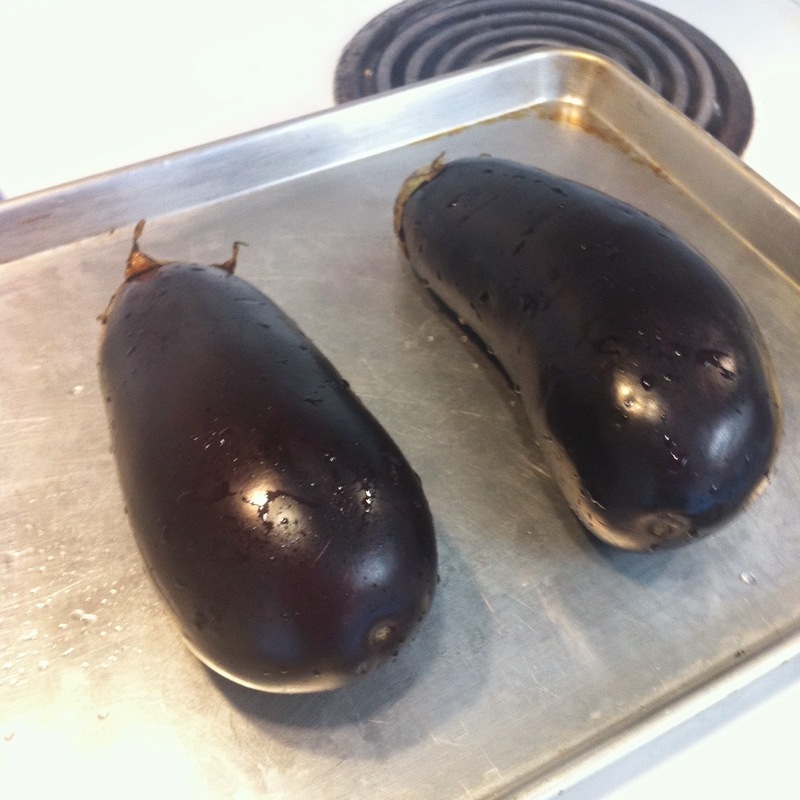 You want the eggplants to decompress, and the skin to blacken. While waiting for the eggplant to broil, slice the celery, onion, and one carrot into large pieces. 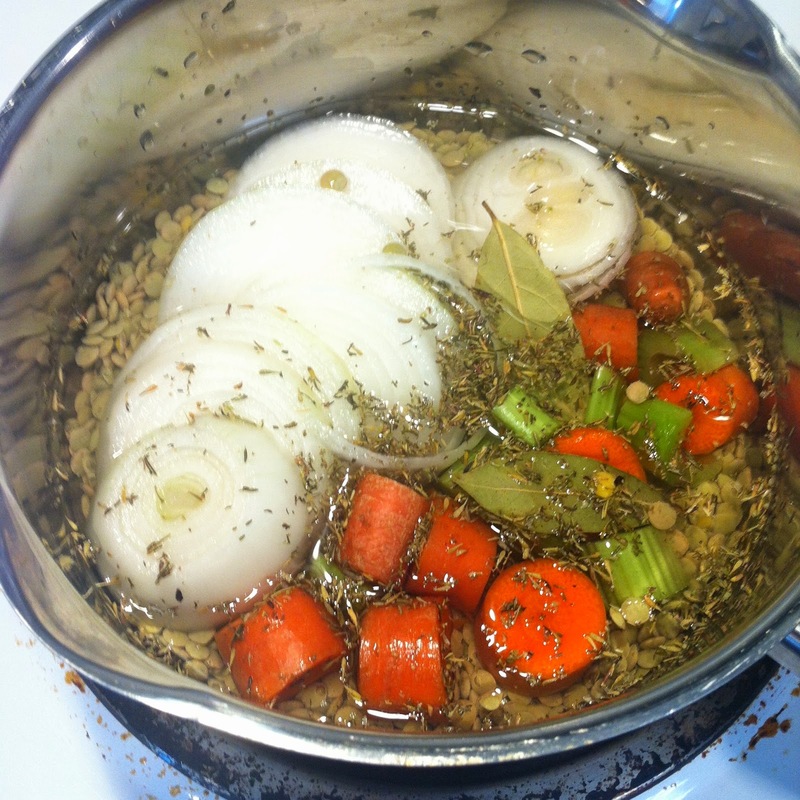 Add this with thyme and a bay leaf into a pot with the lentils. Cover it with water. 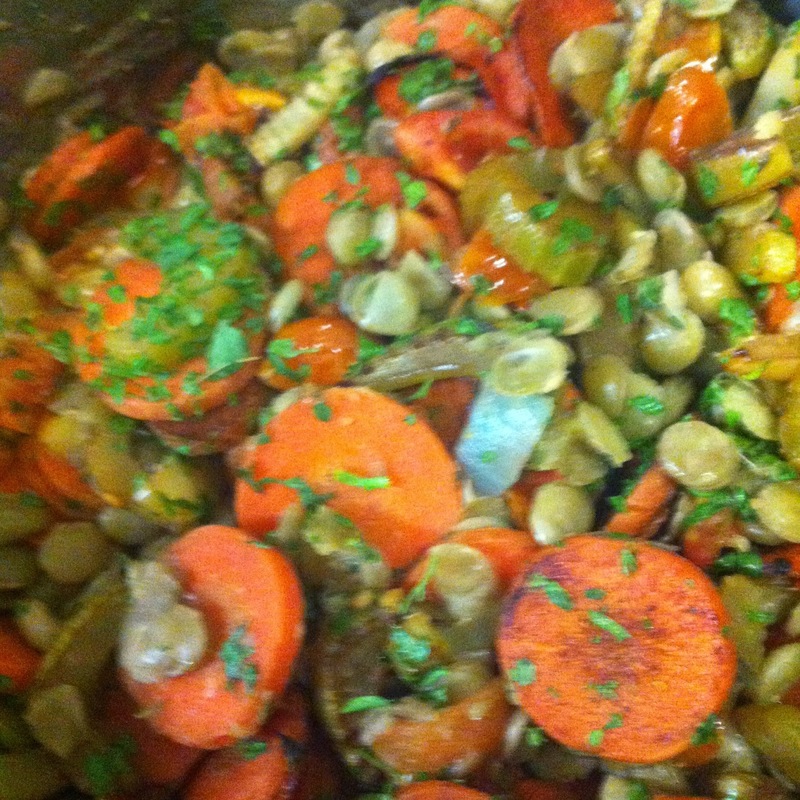 Bring the mixture to a boil and then let simmer for 25 minutes or until the lentils are tender. 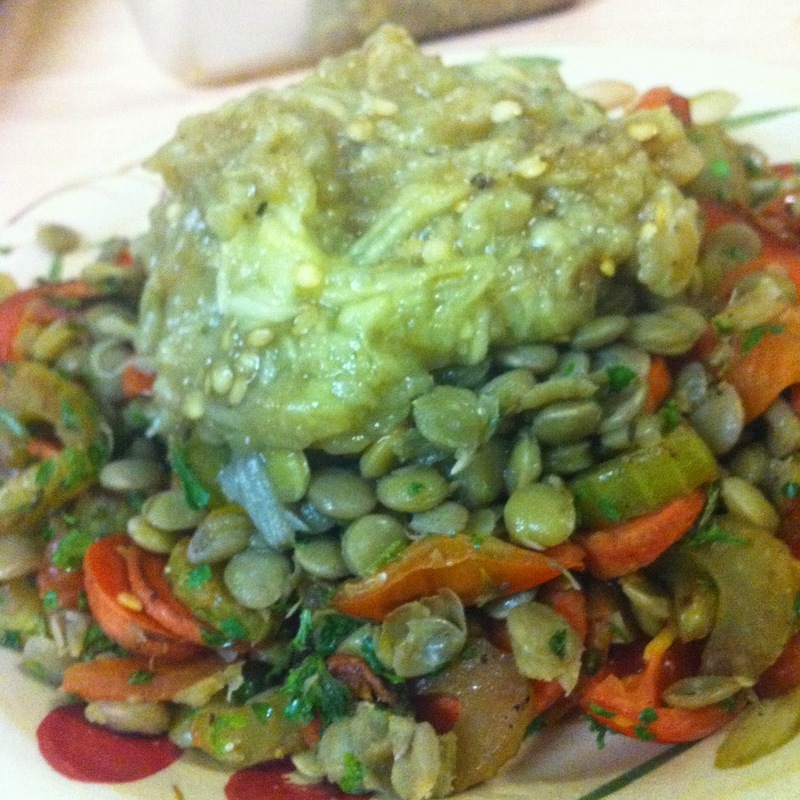 Drain the lentils Then, remove the bay leaves, onion, carrot, and celery, leaving only the lentils. 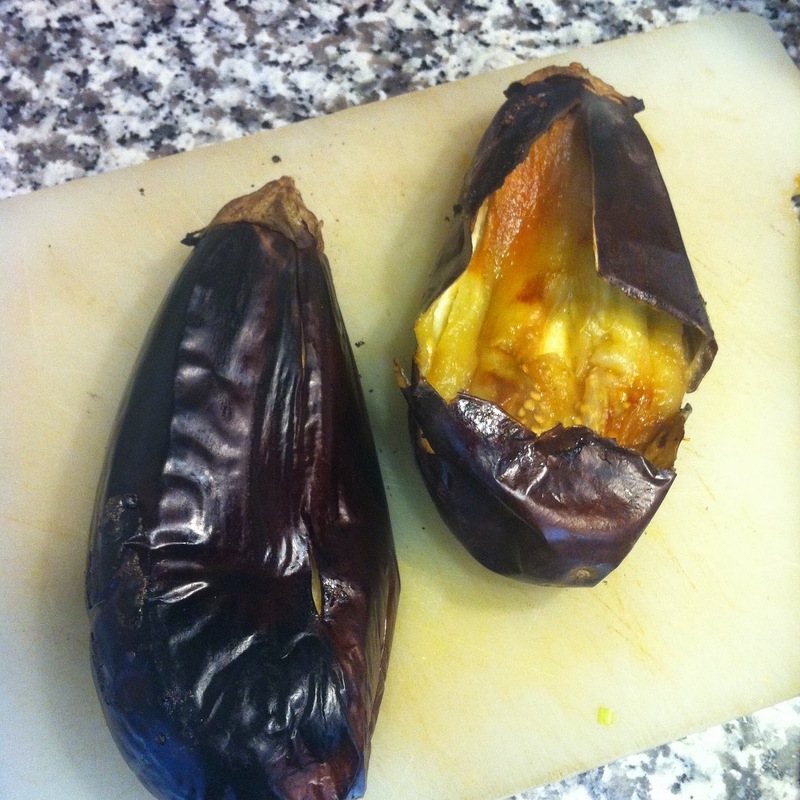 Cut the eggplants in half, and scoop the insides out into a colander, making sure not to take any of the skin. Let the eggplant drain it's liquid, and season with salt, pepper, and vinegar. 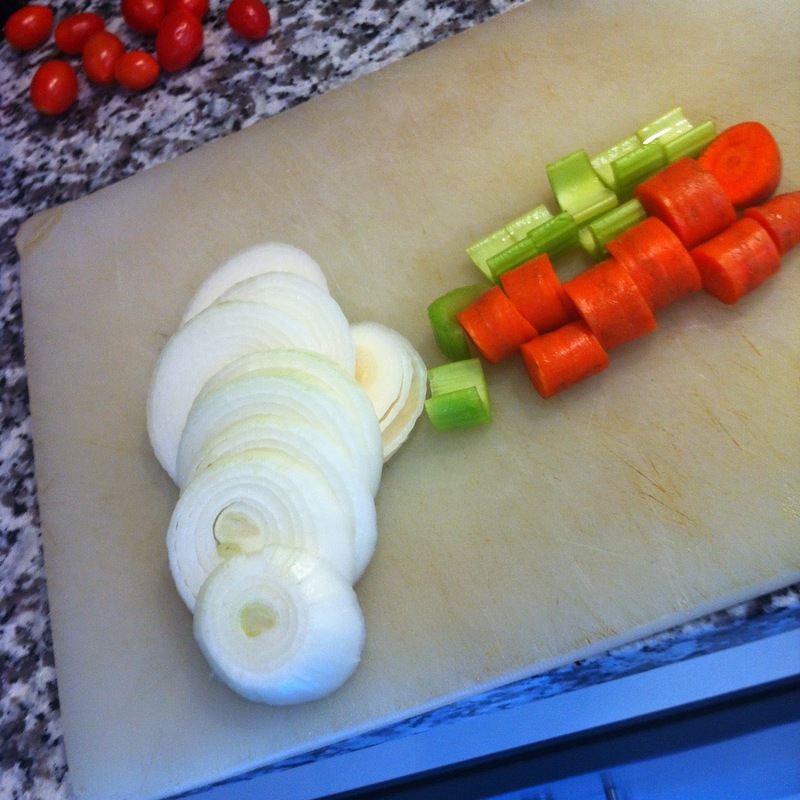 Slice the carrots and celery thinly, and quarter the tomatoes. 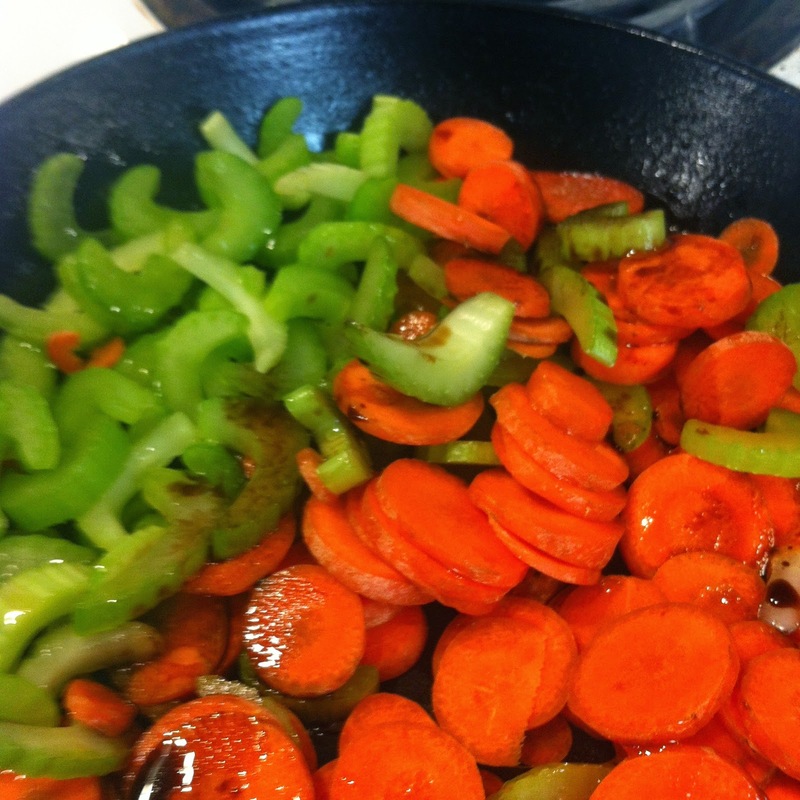 Place the carrots and celery into a pan with oil and some vinegar then cook for five minutes. Then, add the tomatoes. After cooking for three minutes, add the parsley, reduce to low heat and let simmer for two minutes constantly stirring. 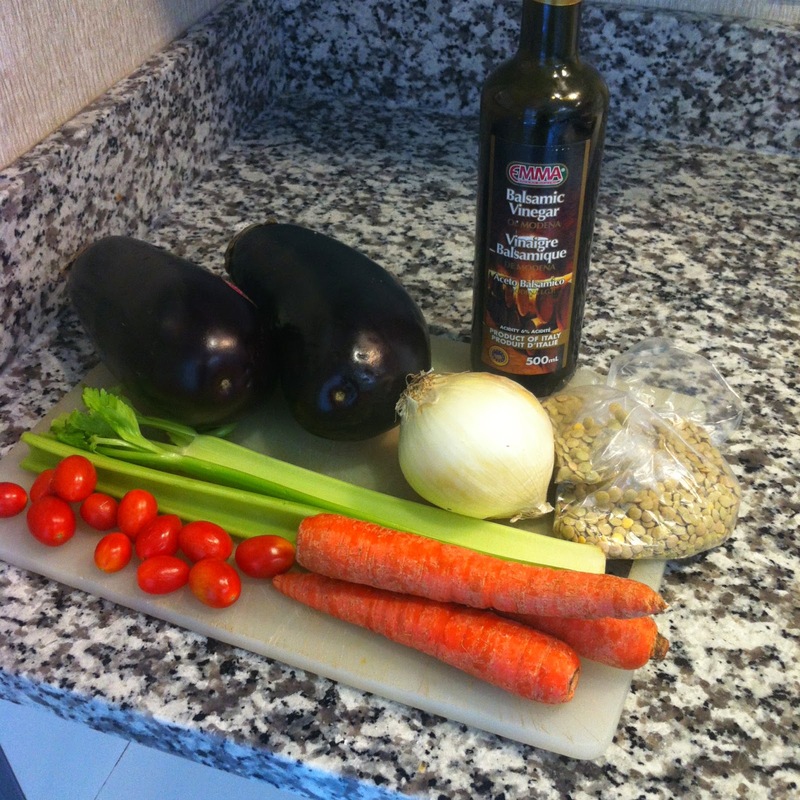 After letting the mixture simmer, add to the lentils, mix thoroughly, then serve with a scoop of eggplant on top.